Diane Sanfilippo of Balanced Bites and author of Practical Paleo, with me at her book signing/Q&A session at CrossFit Oregon City on Sunday. 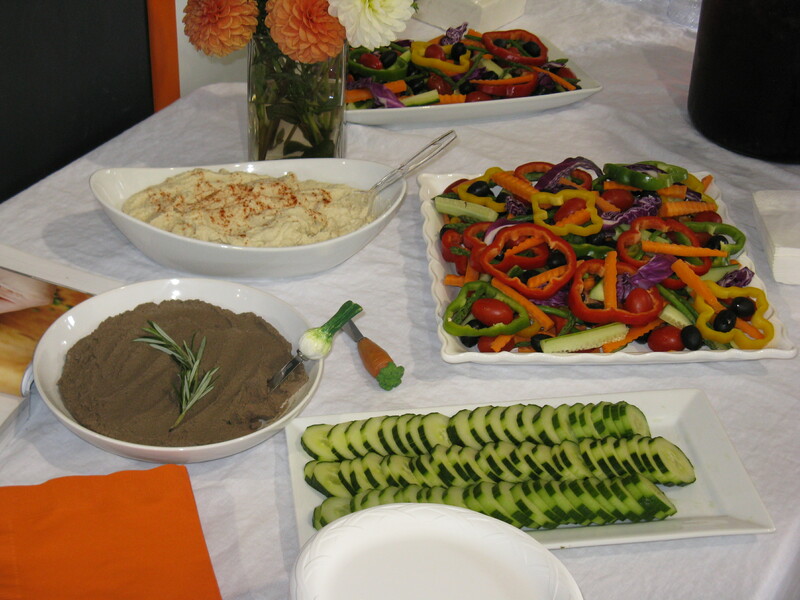 Snack spread at CrossFit Oregon City for Diane’s book signing: fresh veggies with cauliflower hummus and chicken liver pate, both recipes from her book, Practical Paleo. There was also some lovely fruit and herb-infused water. 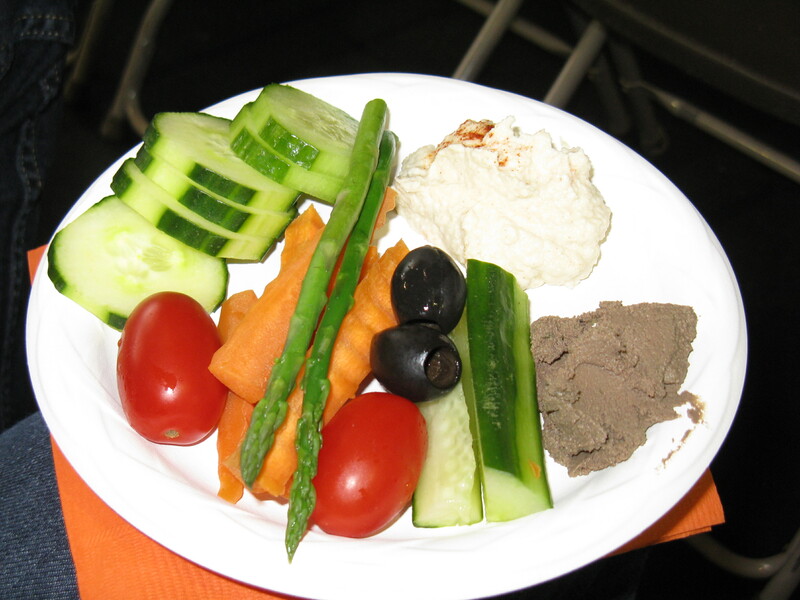 We shared snack plate and totally dug the cauliflower hummus, but weren’t too big on the chicken liver pate. This was my first taste of chicken liver ever, so it was really scary. I didn’t care for it at all, mostly because of the chalky texture, but it was better if I mixed it with the hummus. It definitely had a strong taste and is something I am not used to whatsoever. Regardless, I’m proud of myself for trying it. Jesse tried it too (though he’s had liver before), but wasn’t a big fan of it either. Remember if you do eat liver, make sure it is pasture-raised! Michelle of Nom Nom Paleo was at the book signing at the very beginning too, but I missed the opportunity to meet and get a photo with her before she had to take off. I felt too nervous, shy and excited when we first got there and couldn’t get myself to walk up to her as she was chatting with Diane and Jen (of Jen’s Gone Paleo, also owner and coach at CrossFit Oregon City). I was totally (paleo) star struck! I know, I know … I’m a total nerd, but I’m okay with that. These ladies are some of my idols though and I look up to and admire them, so I felt slightly intimidated! Anyway, Jesse and I gathered a lot of valuable info during the Q&A session, which took up nearly the whole two hours. It was great to hear about other people’s experiences, especially those new to the paleo world. We also learned some helpful tips for running a paleo challenge in a gym setting, which is something Jesse and I hope to do together sometime soon. Diane was insightful, smart, funny, honest and real. 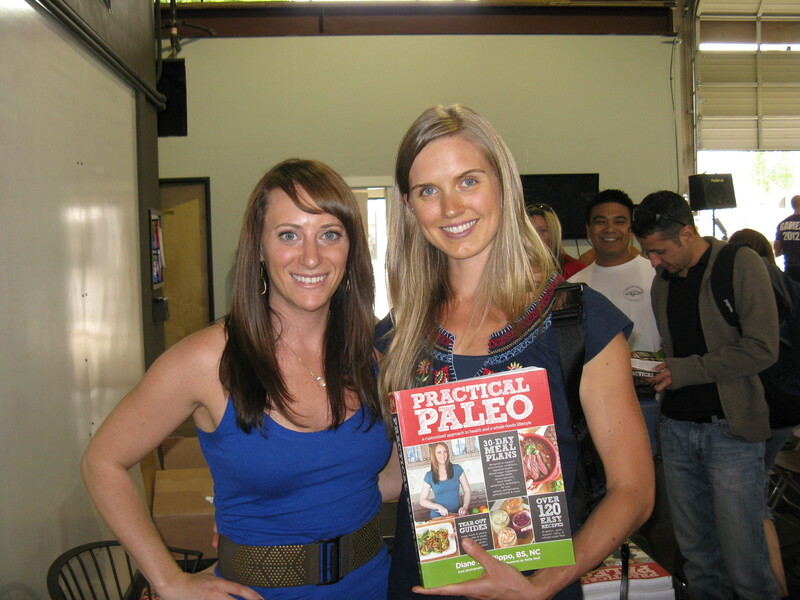 Do yourself a favor and go buy her book, Practical Paleo! It is an amazing, thorough and well-written resource. You will not be disappointed! Awesome blog! 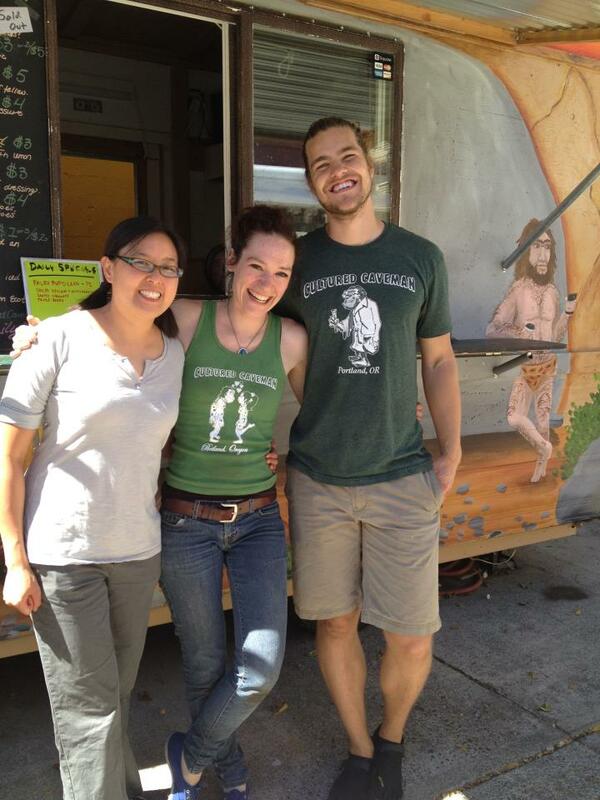 I’m so glad to see the Portland Paleo scene happening and I had no idea Portland has a Paleo cart (of course they do) – I’ll be home for a visit next week and will definitely hit that up!! Thanks, Kate! I appreciate you checking my blog out. I enjoy your blog too 🙂 I’m glad I could enlighten you about the Paleo food cart here. Make sure you try the chicken tenders when you go … they are out of this world! Just beware, you may start craving them all the time, like me 😉 How long will you be visiting for?